Lalique produced an array of glass architectural items such as tiles, panels, show cases, fountains, lights, statues, doors, windows, railings, door handles, tables and cabinets. 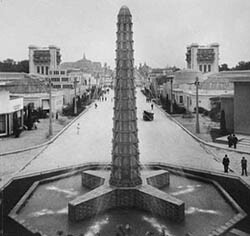 Pavillon and fountain at the Exposition internationale des Arts decoratifs et modernes, Paris 1925. Fountains and lighting for the Champs-Elysees Arcade. Panels for the Compagnie Internationale Des Wagon-Lits, Orient Express. Tiles, glassware and lamps for the S.S. Normandie. The Lalique glass in the Church of St. Helier on the Isle of Jersey. Copyright John D Shearer Ltd. Lalique Glass | All Rights Reserved | Powered by Dot Internet Solutions Inc.